Where your health matters. Comfortable Chiropractic care for you and your family. Open late. There are times when your body lets you know that it needs some help. Whether it is back pain, tiredness, discomfort or other ailments, you don’t have to endure life’s toils; in fact, you deserve to get the most out of life. A visit to your local chiropractor in Blackwood could be the answer to finding comfort, freedom, mobility and balance – all of which lead to a more relaxed daily life. At Blackwood Chiropractic Centre it’s not just about back and neck pain, headaches, sports injuries, shoulders, hips, knees, feet and elbows. It’s also about lifestyle, nutrition, exercise, detoxification and the overall health and well-being of the person. We offer the best in pain relief and health optimisation, with an emphasis on gentle techniques and excellence in diagnosis. Kinesiology and Isode Testing helps us uncover the structural, chemical and emotional components that may be affecting your body. We stock Heel lifts, Resistive exercise bands, Sacroiliac support belts, Metagenics Supplements and Premium Health drops. 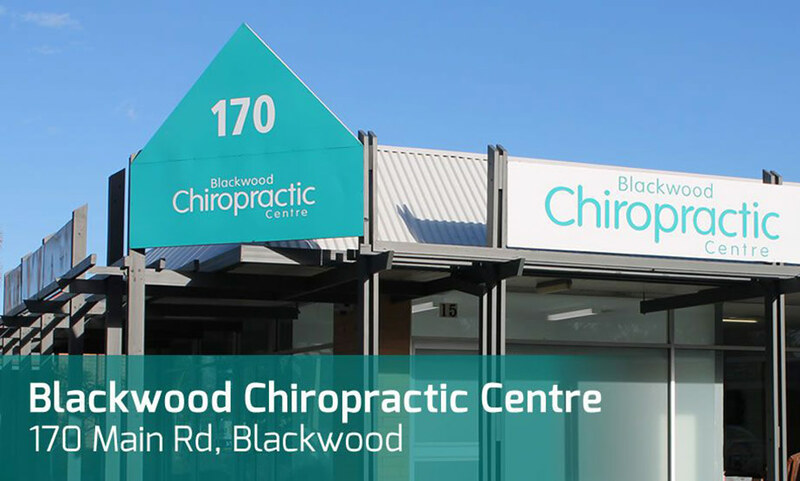 Contact Blackwood Chiropractic Centre today to discover the freedom to live your life as it should be enjoyed. Open till 7pm 5 nights. Same day appointments available.